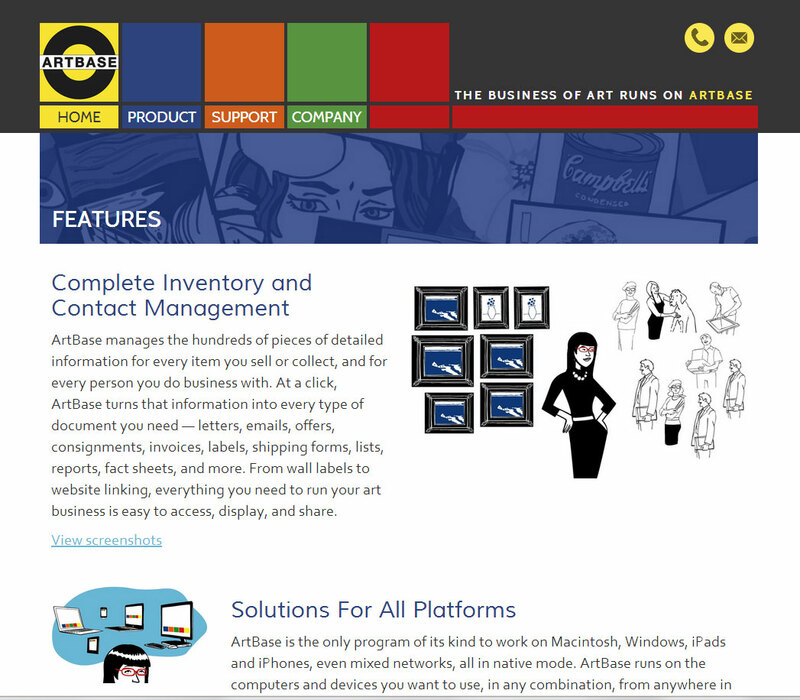 ArtBase, a vendor of database software for museums and galleries, needed a web site that would allow potential customers to learn about the features, capabilities, and pricing options of their product prior to making contact with a sales rep. We designed and developed this colorful, mobile- and tablet-compatible web site which is powered by a state of the art responsive Content Management System (CMS). 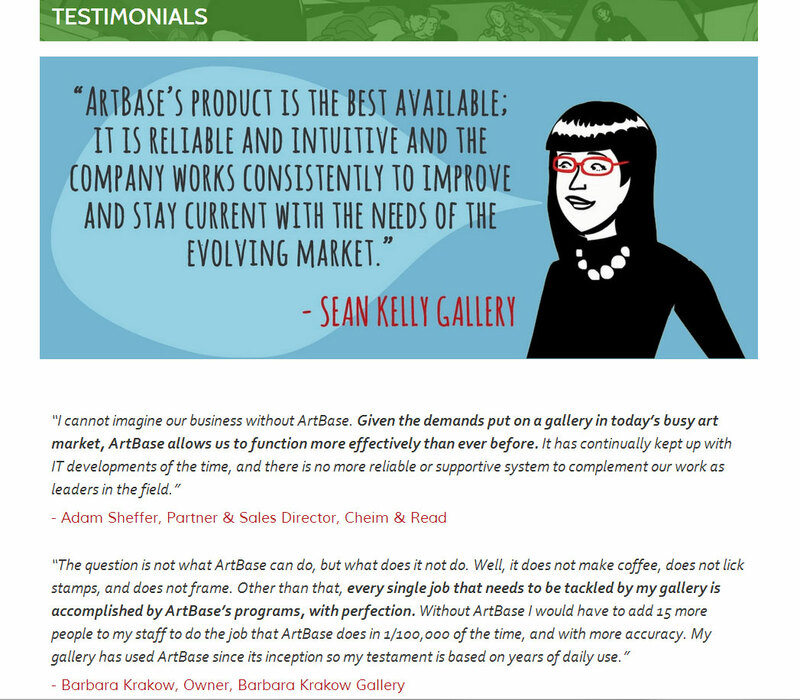 When we began discussing web site requirements with ArtBase, they already had a fantastic 3-minute video that introduces their product in an entertaining way. We decided to make the most of this existing asset by highlighting it prominently on the home page and optimizing it to display well on mobile devices as well as desktop computers. 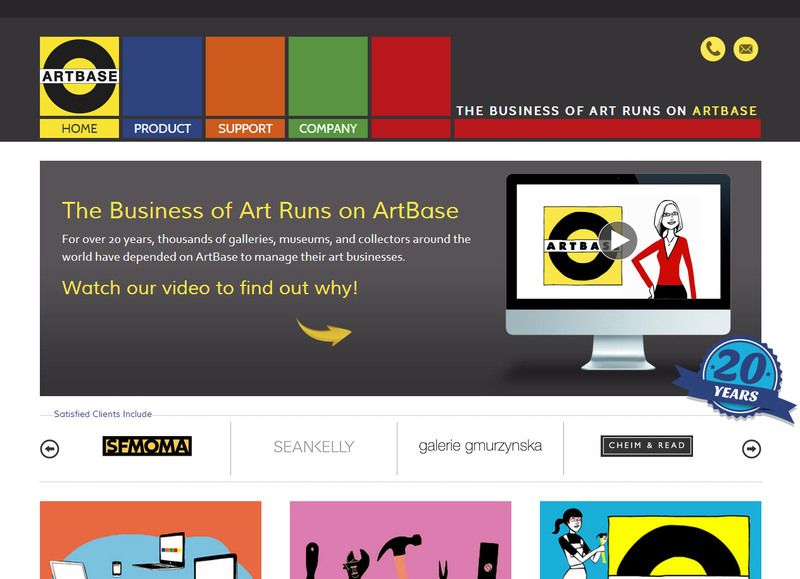 A scrolling display of their customer logos highlights some of the well-known institutions who place their trust in ArtBase software to manage their collections. Finally, Call To Action buttons further down the page guide site visitors into a sales funnel designed to result in a purchase conversion. For the Features page, we worked with the client to condense an overwhelming bullet list into a few brief paragraphs that describe their product's capabilities, and we spiced up the visual appeal of the page with some illustrations provided by their in-house illustrator. 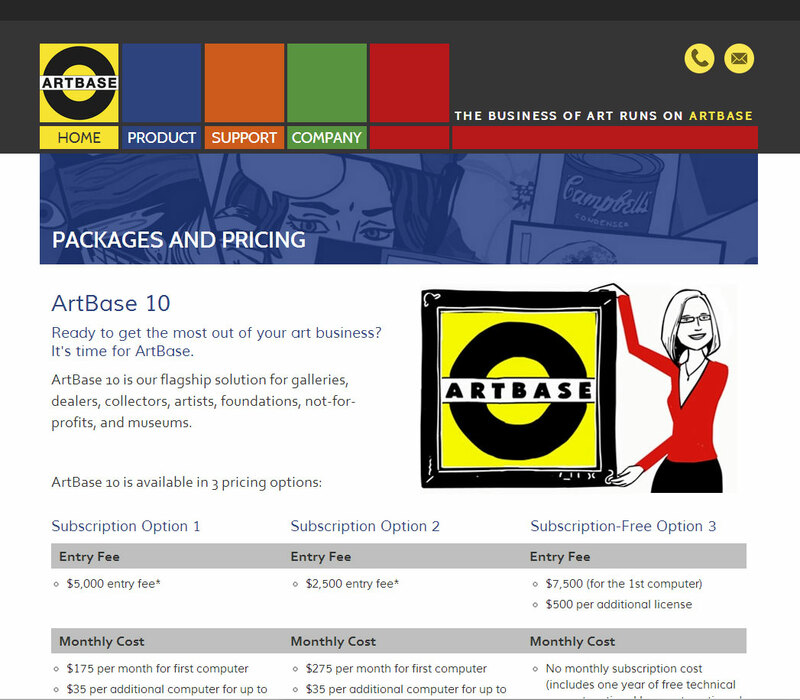 For the Packages and Pricing page on the ArtBase site, we simplified their somewhat complex pricing structure into an easier-to-read chart format. Call To Action buttons allow site visitors guide web site visitors through learning about the software, picking out a package, and finally contacting the ArtBase sales department.